on a beam in the barn, resting. 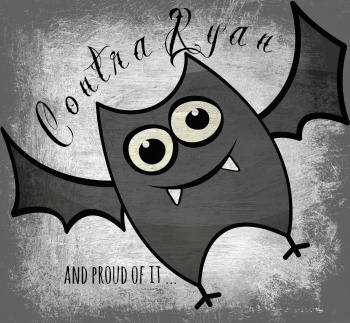 For this reason the animals on the farm make fun of him and call him Contra Ryan. One day the animals begin to worry. The nightingale has stopped singing. They whisper, “Life on the farm is not the same anymore.” The nightingale’s song has lifted the weight of the day and lightened the hearts of the hard-working animals. Contra Ryan lets go one claw and dangles from the beam. “What do you think it would be like if you thanked them?” he asks. “Because they listen to you,” answers Contra Ryan. A New Perspective? Another Point of View? 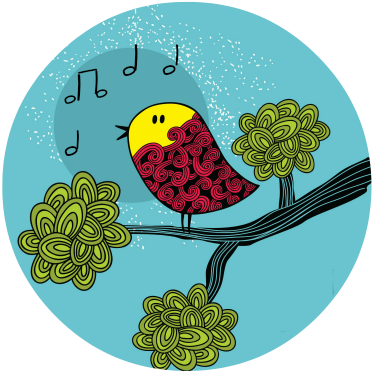 Never before has her warbling been so sweet. All the animals gather round and listen. All is peace and joy. Contra Ryan turned things around. He gave the opposite perspective—and life for everyone became richer. Thank you for reading this story to the end. And thank you for . . . Well, you decide what you would like to be thanked for. Make today a “Thank myself” kind of day. Sometimes an upside-down perspective can straighten out our priorities and put a smile on our face. 30 DAYS TO A NEW YOU – Get What You Want Through Authentic Change by Life Coach and Executive Consultant Monica Magnetti. Life is too short not to try hanging upside down at least once!